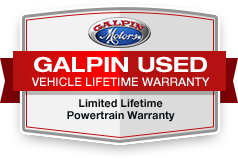 Originally Bought at Galpin, Serviced at Galpin, Used Dealer Rental Vehicle, NEARLY New VEHICLE AT USED Car PRICE. FUEL EFFICIENT 29 MPG Hwy/22 MPG City! CARFAX 1-Owner, Superb Condition, ONLY 2,452 Miles! Stone Gray Metallic exterior and Dune interior, SEL trim.